The 9.5-mile Union Dike was rehabilitated by the NRD 1991. 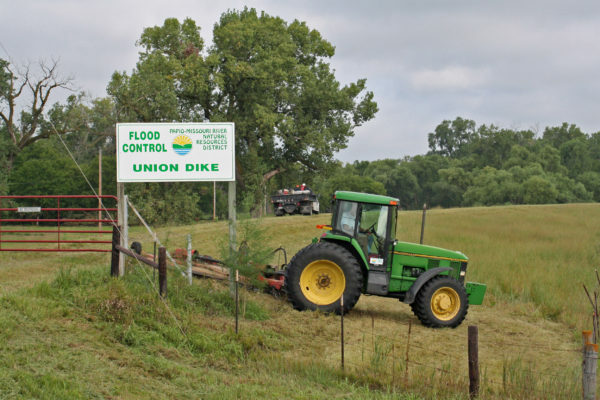 Increased protection from ice jam and open-water floods was achieved for the City of Valley and thousands of acres of prime farmland along the river in western Douglas County. Downstream, an additional 2.5-mile levee expansion, No Name Dike, was completed in 1993. Both projects included wetland mitigation/wildlife enhancement. 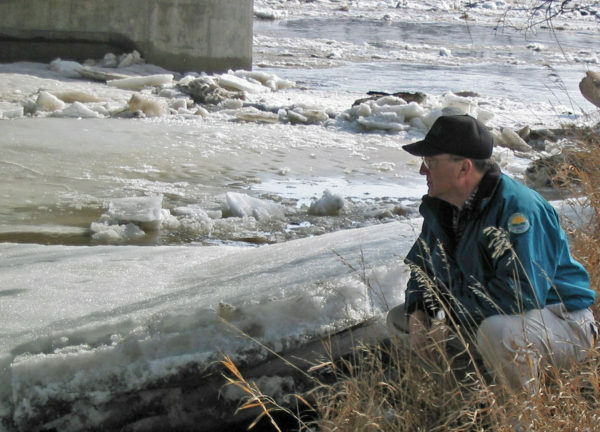 The Platte River in Western Douglas County has a long history of major ice jam flooding. Each year, NRD staff work with state and other local officials to measure ice thickness prior to the spring melt and to prepare ice jam response plans. Click here to view a map of the Western Sarpy/Clear Creek Levees. Frequent Platte and Elkhorn River flooding in western Sarpy County and the Clear Creek area of eastern Saunders County threatened critical water supply well fields for Omaha’s Metropolitian Utilities District and the Lincoln Water System, communications and transportation corridors, including Interstate 80 and NE Highway 6. 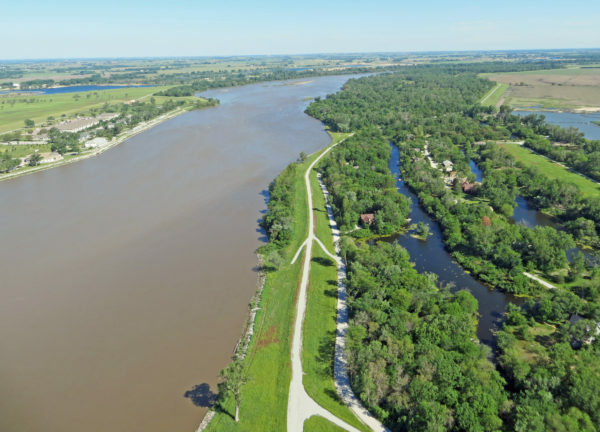 After extensive ice jam flooding in 1993, the river reach upstream of Highway 6 in Sarpy and Saunders County was identified for a levee rehabilitation project by the Corps of Engineers. 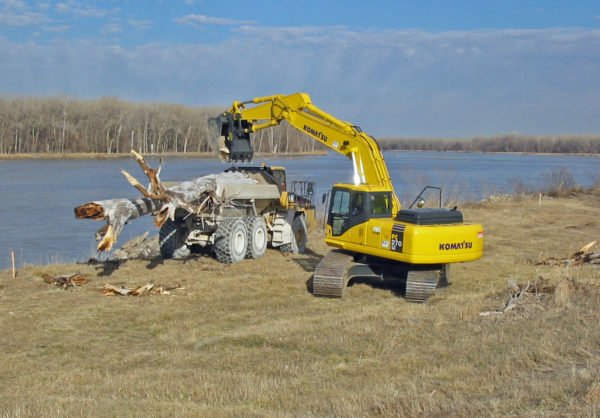 The Papio-Missouri River NRD and the adjoining NRDs on the west side of the Platte River are the local sponsors for the now-completed $42 million project. About 20 miles of levees were improved along this stretch of the Platte River, one of the most ice jam flood-prone areas of the state. The elevation or removal of impacted cabins plus environmental and wildlife enhancements were also a part of this project. Perhaps the most significant benefit of the Western Sarpy/Clear Creek Flood Reduction Project is the security of Omaha and Lincoln well fields, supplying water to nearly 50% of Nebraska’s population. Three NRDs, the Papio-Missouri River, Lower Platte South and Lower Platte North, have been working diligently with the US Army Corps of Engineers, the State of Nebraska, other government agencies and the Congressional delegation for over 12 years to see this project through to completion. The Western Sarpy-Clear Creek Project was authorized in the Water Resources Development Act of 2000. All flood control structures require continuing maintenance to remain safe and effective. Unbridled flood waters possess a destructive power unmatched by other forces in nature. Containing high water flows can best be accomplished with often-inspected, well maintained flood control structures. Our crews now inspect and maintain over 80 miles of flood control improvements. Every winter, Papio NRD staff joins several other state and local emergency management agencies to monitor and share reports on ice jam conditions along the Platte and Elkhorn Rivers at key locations. Ice jam preparedness is key to an effective response and to the protection of lives and property.